Editor’s Note: Thanks to Hutton Honors at Indiana University for providing this update showing how important undergrad research is for graduate school admission and for employment opportunities. Honors students engaged in intensive research endeavors are attractive to top graduate schools and to great companies. Consider the Cox Research Scholars Program administered by Indiana University’s Hutton Honors College. Cox Research Scholars are selected through a competitive process to study and apprentice all four years with an Indiana University faculty mentor on research or creative activity. Each student receives a renewable scholarship and stipend that covers the total cost of attendance. According to data compiled by the Hutton Honors College, by December of 2012, the Cox graduating class of 2011 had a 100 percent placement rate (either in graduate school or in jobs), while the 2012 cohort clocked in at 87 percent. Graduate school-bound Cox alumni are studying at, among other institutions, MIT, Emory School of Medicine, the University of Chicago, and NYU’s School of Law. Cox alumni are also employed at Deloitte Consulting, Cummins Inc., Price Waterhouse Coopers, and General Mills. Anecdotal evidence suggests that it’s not merely research experience that gets the attention of recruiters, but rather, demonstration of research commitment and results. In 2012, alone, Cox Research Scholars co-authored or presented more than 20 papers at major research conferences. Below is the most recent list of the honors programs that have the most value-added impact on their universities and that are within universities listed in the Kiplinger top 100 “Best Values In Public Colleges” report of 2013. We estimate the honors impact by comparing the ranking of each university as a whole with our evaluation of the honors program. If our ranking places an honors program or college higher than the national ranking of the university as a whole, then the honors program provides value added. For example, if University A honors college ranks 24th in our evaluation of 50 programs and colleges, and the university as a whole ranks 34th among the 50 universities we considered in the U.S. News rankings, then University A’s honors college has significant value added. The value-added programs that we are listing in this post are those at South Carolina, Arkansas, Georgia, Michigan State, Delaware, Stony Brook, Minnesota, Missouri, Oregon, Nebraska, and Indiana. We will also note if their Kiplinger value is up from 2012, a difficult standard to meet, given the cuts to state schools and the resulting rise in tuition and student loans. Congratulations to South Carolina, Stony Brook, Minnesota, Missouri, and Indiana for raising their average Kiplinger rankings in 2013 and for having value-added honors programs! The annual Kiplinger special report is a well-known and influential publication. The report presents a cost/value analysis, comparing the academic reputation of selected public universities to the total net costs of attending, using both in-state and out-of-state tuition as benchmarks. Kiplinger begins with 500 public colleges and universities, eventually honoring the top 100 as best values. 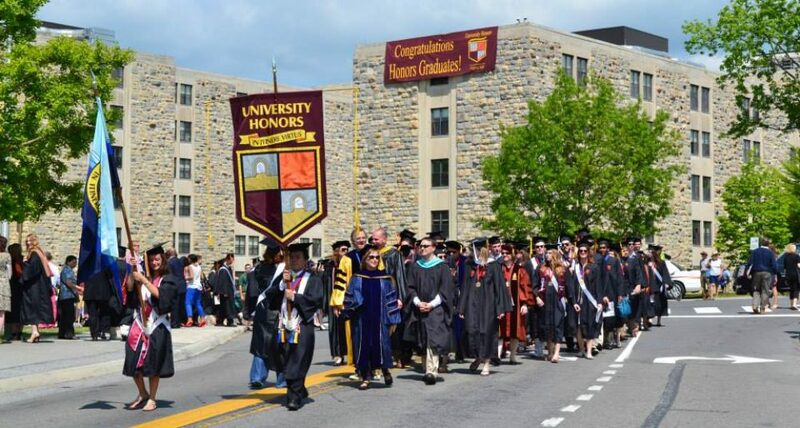 Kiplinger does not directly consider the value added by public honors programs, although it is certain that the qualifications and achievements of honors students are an important contributor to a university’s academic excellence. In-state tuition (35); out-of-state tuition (50); honors impact rank (2). Kiplinger average value is UP from 2102. In-state tuition (65); out-of state tuition (78); honors impact rank (3). In-state tuition (15); out-of-state tuition (24); honors impact rank (7). In-state tuition (46); out-of-state tuition (66); honors impact rank (7). In-state tuition (22); out-of-state tuition (9); honors impact rank (9). Kiplinger value is UP from 2012. In-state tuition (29); out-of-state tuition (26); honors impact rank (10). In-state tuition (45); out-of-state tuition (12); honors impact rank (11). Kiplinger value is UP from 2012. In-state tuition (66); out-of-state tuition (74); honors impact rank (12). Kiplinger value is UP from 2012. In-state tuition (98); out-of-state tuition (99); honors impact rank (12). In-state tuition (75); out-of-state tuition (87); honors impact rank (14). In-state tuition (39); out-of-state tuition (64); honors impact rank (15). Kiplinger value is UP from 2012. Freshmen students in the Hutton Honors College at Indiana University may live anywhere on campus, but they might prefer to live on honors residential community floors in Briscoe Hall, in the northwest neighborhood; Teter Hall, in the central neighborhood; and Forest Hall, in the southeast neighborhood. All these residence halls are air-conditioned. Living arrangements vary from the traditional, with hall baths in Teter and Forest, to coed living and a selection of room configurations in Briscoe. With its central location, Teter is the choice of many students. Not far from the School of Education, the Wells Library, several classroom buildings, and the highly-regarded Kelley Business School, Teter is also close to most classes and other campus facilities. “I think the SE dorms are probably in one of the best locations on campus because they’re the closest to most of the buildings where your classes will be and there are great places to eat here as well that are way underrated. Forest is also near the Jacobs School of Music, so a lot of music majors live there. Many international students live there as well. Hutton upperclassmen have two additional Honors Residential Community floor choices, one in the New Union Street Center, and the other in Willkie Hall.